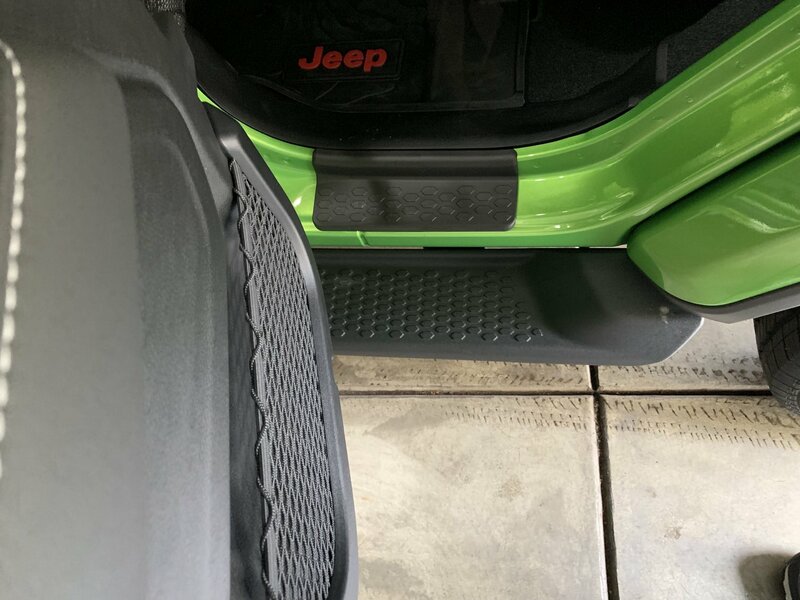 The Quadratec Custom Fit Entry Guards are the perfect accessory for doorway protection on your Wrangler JL 4-door vehicle. 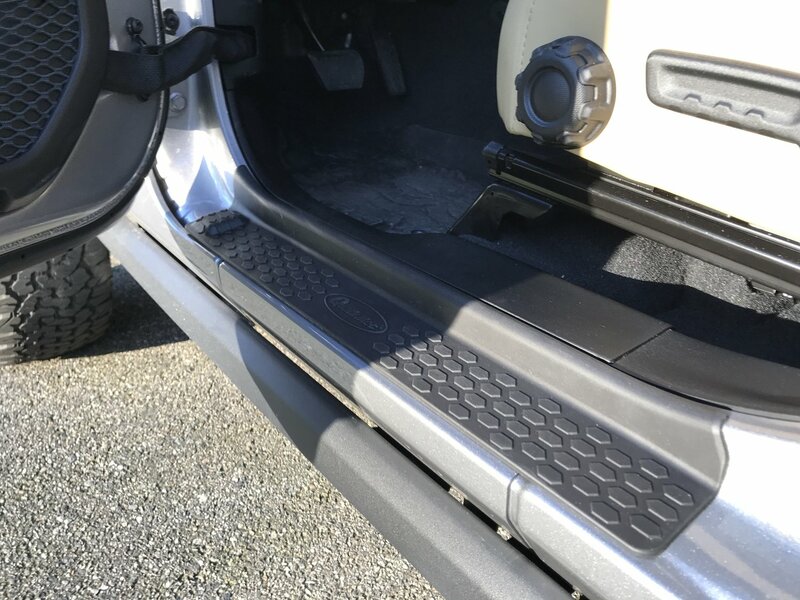 Unlike other entry guards, this exclusive design offers the most coverage of the Jeep's door sills, providing the ultimate protection against scuff marks or paint chipping. 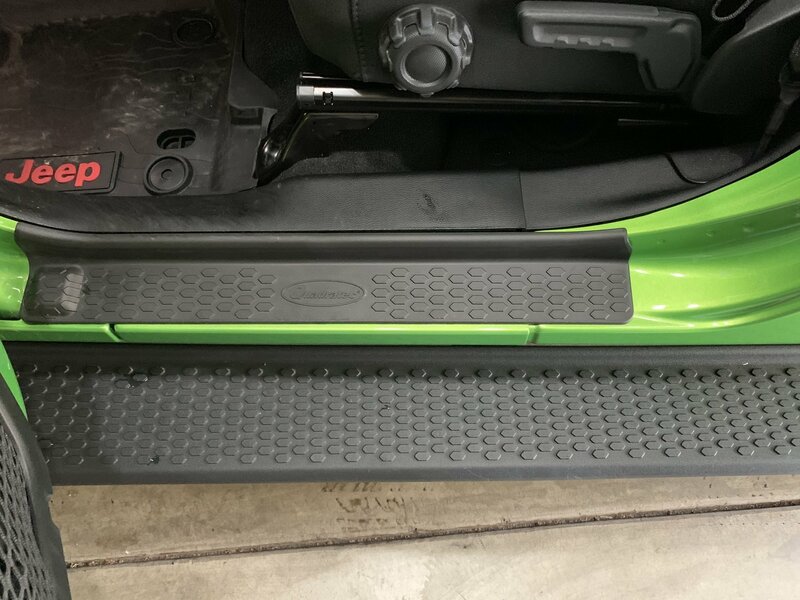 The injection molded guards provide a precision fit and install in minutes with no drilling or modifications to the Jeep. 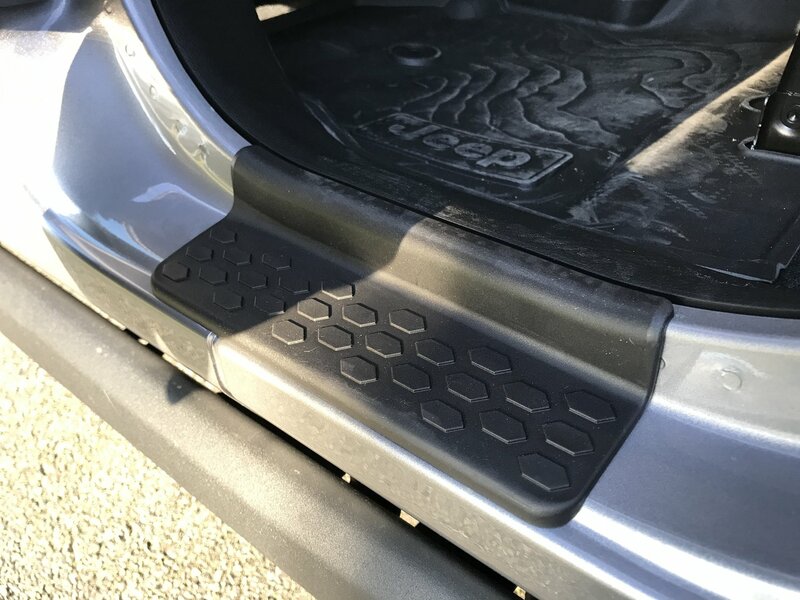 Made from virtually indestructible black TPE (Thermo Plastic Elastomer) material, these guards are built to stand up to a lifetime of abuse. 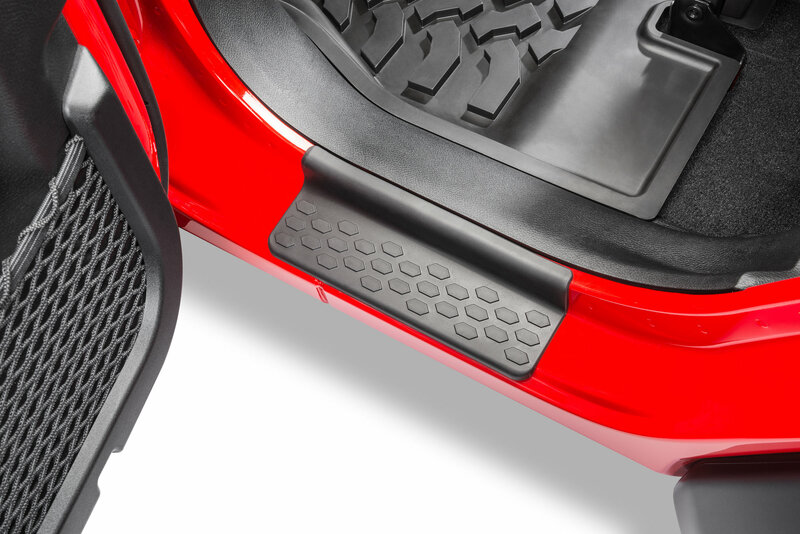 The polygon tread design echoes many other original equipment accessories, and the included 3M peel and stick adhesive allows for quick installation over the factory door sills. 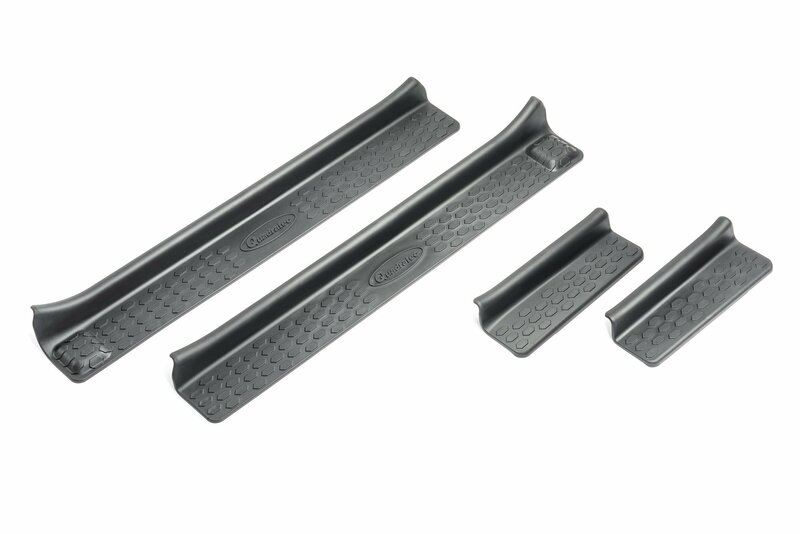 The entry guards are backed by the Quadratec 3 Year Limited Warranty. Made in the USA. Excellent product! 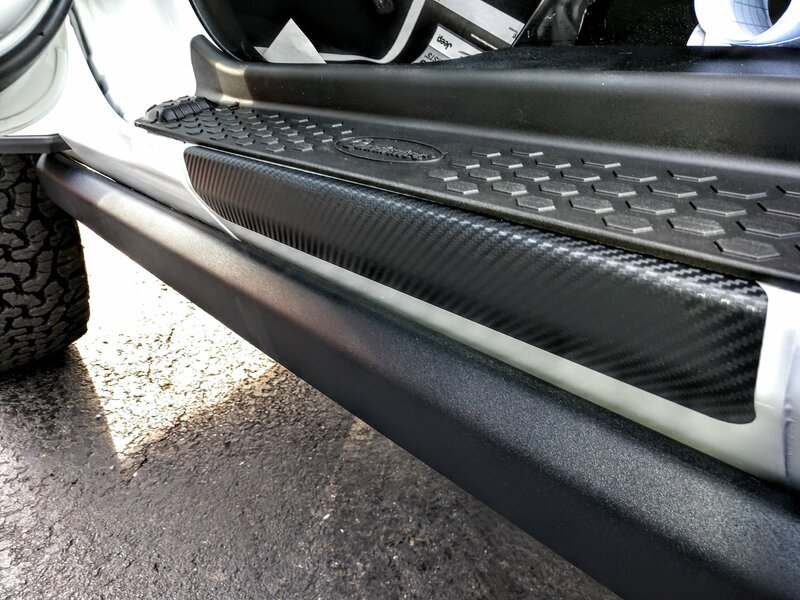 Looks great installed. Very easy install. Just make sure you measure correctly from seam for a perfect fit. 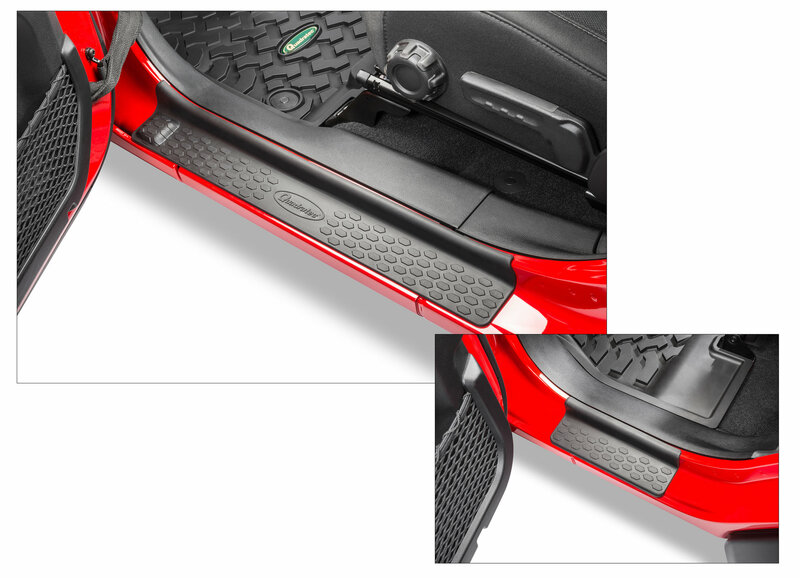 Matches the running board on my 2019 Sahara. 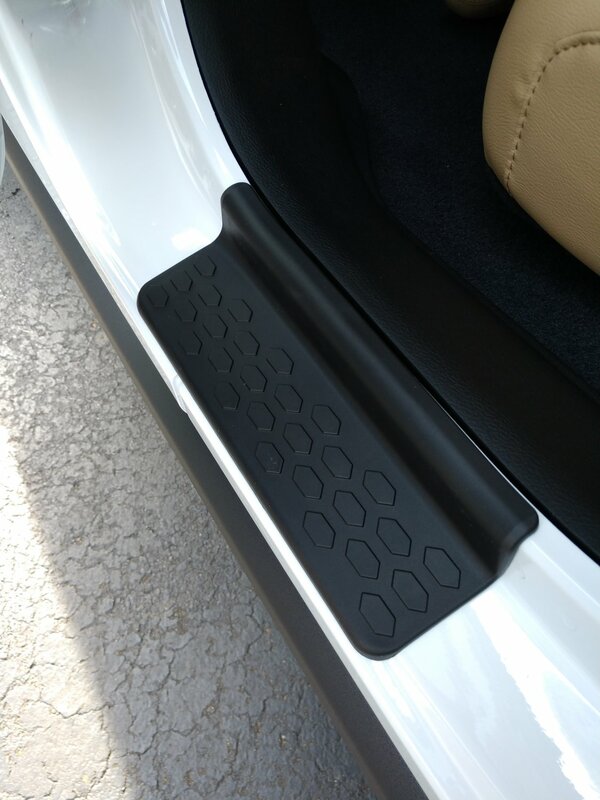 THE BEST, my friend said they look OEM, too bad OEM isnt this good! 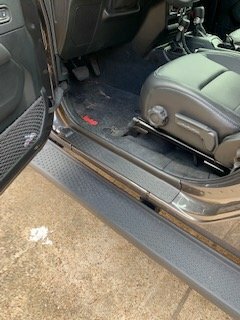 Not only functional, but gives the doors a finished look. Very nice.